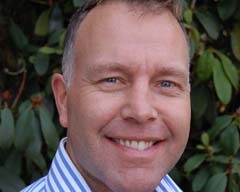 Adam Couch is to take over the reins, from Bernard Hoggarth, as the new chief executive officer of Cranswick plc. Hoggarth stands down from his position but will continue in the business as part-time commercial director. Couch has been with the business for over 20 years and has served on the Cranswick board since 2003. In an update on trading for the period 1 April 2012 to 21 July 2012 the company reported that it had seen an increase in sales for the three months to 30th June 2012 up by 7.4% to £209 million. It had strong gains in its sausage, bacon and continental products. Its acquisition of the premium cooked and roasted meat product business, Kingston Foods, in July was designed to strengthen its production capabilities in that sector and it is hoped will broaden the group’s customer base. Net debt for the overall business stood at £38 million at the quarter end, which compares with £22 million at 31st March 2012. Cranswick stated that this reflected a seasonal uplift in working capital and cash spent on the Kingston acquisition. However, it said its net debt was below the £55 million reported at the same time last year. The Board’s outlook was that whilst it was mindful of the continuing challenges facing the UK consumer it remained confident in the long term success and development of the business.